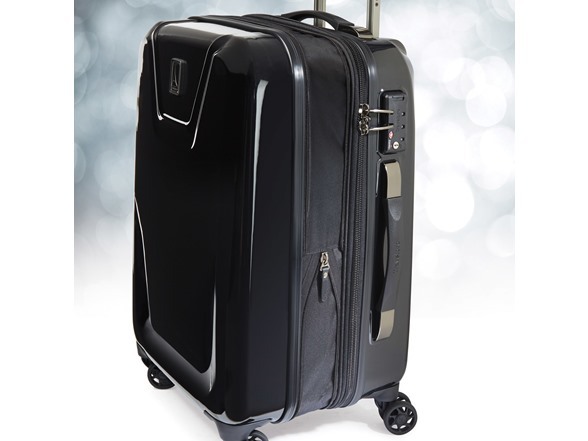 Travelpro AutoPilot Lite 2 Expandable Hardside Spinner, 25"
Presenting Hardside Spinners in the AutoPilot™ Lite 2 collection from Travelpro®. This amazingly lightweight series features a strong 100% Makrolon® polycarbonate hard shell for ultimate protection plus the patented Contour Grip to ensure effortless maneuverability. 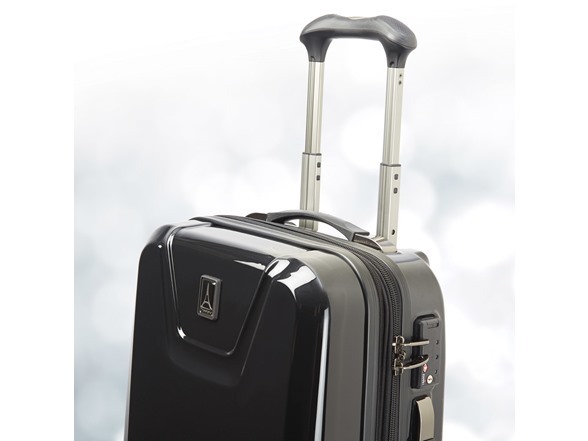 Featuring 2 inches of expansion capacity, an integrated TSA lock and a dual wheel spinner system, this versatile hardside series is a breakthrough in lightweight durability, style and value. Every piece is backed by our reassuring Lifetime Warranty. The AutoPilot Lite 2 Hardside Spinner collection is as durable as they come. Durable crash protection abounds in the form of protective side feet, molded wheel housings and built-in skid guards. The hard shell is made of 100% polycarbonate and is designed to withstand the rigors of frequent travel. 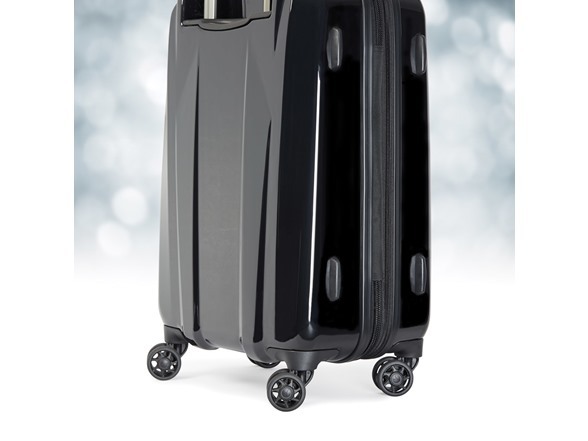 This luggage features an eight wheel Spinner system which rolls effortlessly in any direction and has been built for high mileage travel. Our airline-grade aluminum handle system adds strength and stability when fully extended. Stops at 38” and extra-tall 42.5” ensure a comfortable roll for users of different heights. The patented Contour Grip is the first handle grip designed specifically for Spinner luggage. This ergonomic grip, with rubberized touch points provides superior comfort and control, while relieving fatigue on the shoulder, arm, hand and wrist. 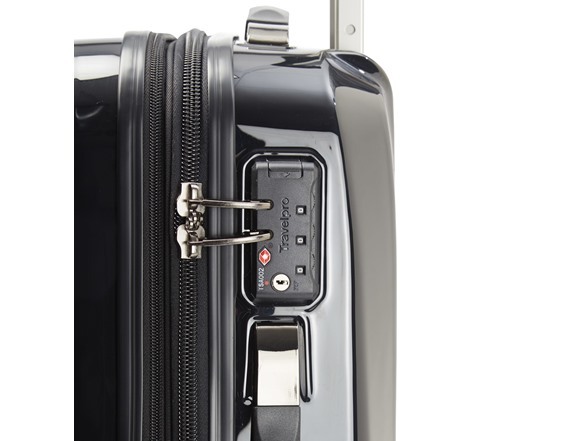 An integrated TSA lock uses the ergonomic, high-tensile-strength zipper pulls to lock the luggage and provide security. 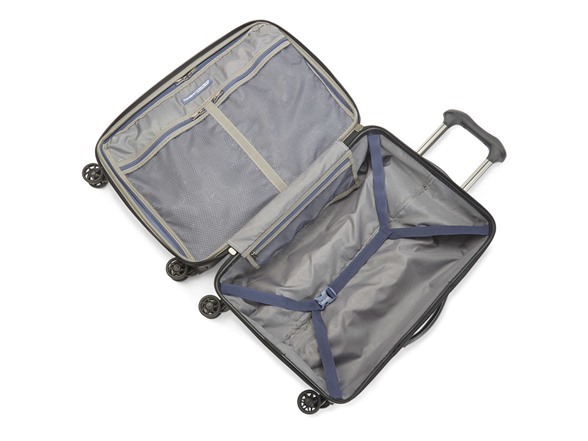 This luggage has a roomy main compartment which expands 2” to maximize space and packing flexibility. Top, side and bottom carry handles are unobtrusive and very comfortable. The interior is well equipped with a split case construction which provides two packing compartment. The zippered divider panel and multiple accessory pockets help organize contents. Adjustable hold down straps keep contents snug and the Duraflex® anti-break buckle is specially designed to close confidently and reduce breakage. Super lightweight, durable, 100% polycarbonate molded shell. Patented Contour Grip is the first handle grip designed specifically for Spinner luggage. Protective side feet, molded wheel housings and built-in skid guards. 360-degree 8-wheel Spinners roll effortlessly in any direction. Zippered side mesh accessory pocket. Interior divider panel with accessory pockets. Split case construction provides multiple packing compartments. Roomy main compartment expands 2” to maximize packing flexibility. Low-profile top, side and bottom carry handles. Integrated TSA lock uses the zipper pulls to lock the luggage. Telescoping airline-grade aluminum handle system with stops at 38” and extra-tall 42.5” ensure a comfortable roll for users of different heights. 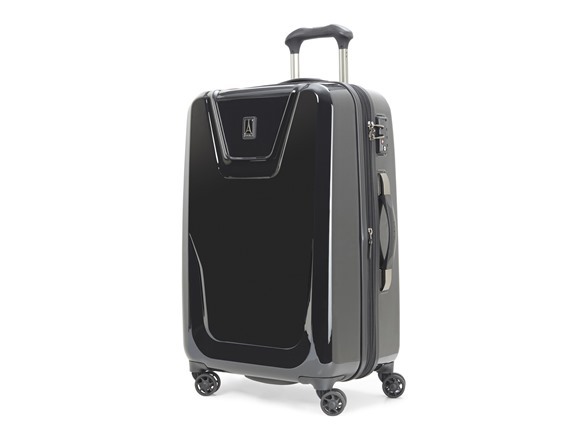 (1) Travelpro® AutoPilot™ Lite 2 Expandable Hardside Spinner, 25"